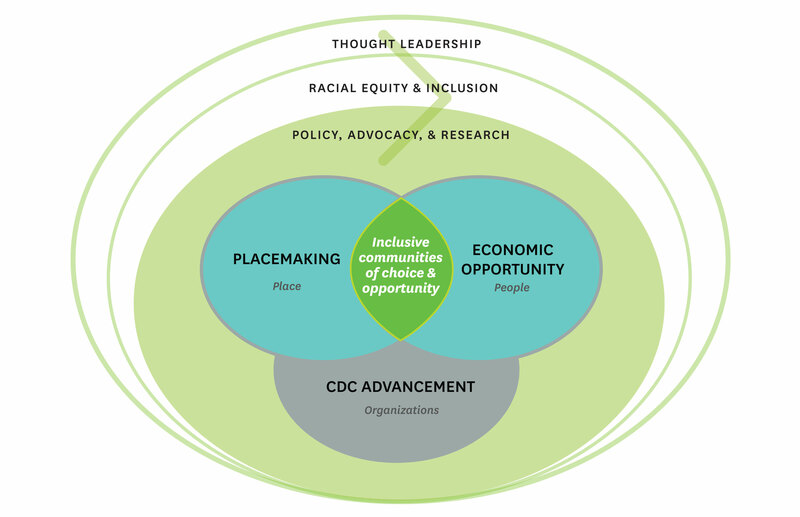 Mission: to foster inclusive communities of choice and opportunity throughout Cleveland. Cleveland Neighborhood Progress is a local community development funding intermediary with thirty years of experience investing in community revitalization work in Greater Cleveland. Neighborhood Progress was founded in 1988 and serves a unique function as it is the only local intermediary in the region. We are proud to be nationally highlighted as a leader for engaging in best practices in various facets of nonprofit programming. Vision: Cleveland’s neighborhoods are attractive, vibrant, and inclusive communities where together, people from diverse incomes, races, and generations thrive, prosper, and choose to live, learn, work, invest, and play. Neighborhood Progress’s detailed Strategic Plan 2017-2021 with core values, guiding principles, goals, and objectives can be viewed here.